My Child's Heel Hurts: What Should I Do? Many adults have experienced heel pain—in fact, according to the American Podiatric Medical Association, about 40% of all grownups have or will have some form of heel pain. What most people don't realize, however is that children, especially active ones, are also extremely vulnerable to heel pain. One of the most common causes of children’s heel pain is condition known as Sever’s Disease (calcaneal apophysitis.) Sever’s Disease is an inflammation or irritation on a child’s growth plate, located on the back of the heel bone. Typically, kids between the ages of 8 and 14 are most affected by this condition, but children of any age can experience this problem. Because of the growth’s plate’s location right next to the Achilles tendon, tightness or problems in the Achilles can also affect the child’s growth plate. When performing X-rays on a child with Sever’s Disease, the growth plate may appear to be fractured, but that is not typically the case. Still, even without a fracture, Sever’s Disease puts kids in a lot of pain, especially when they’re getting active or involved in sports. 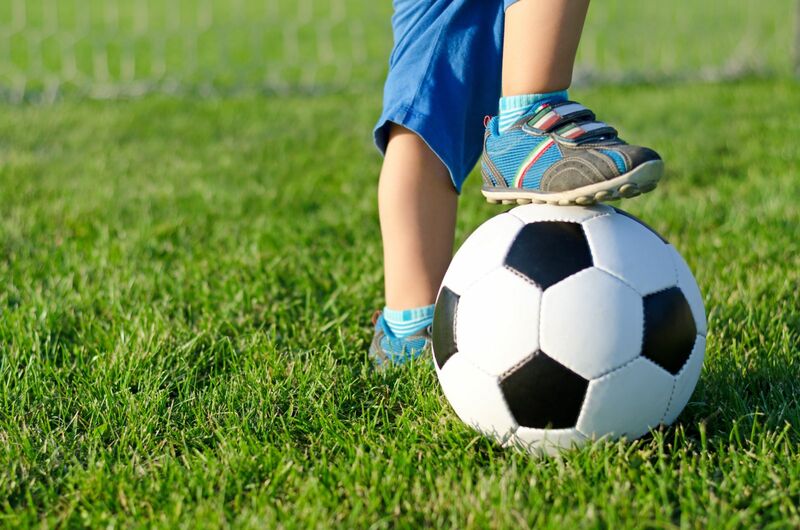 Typically, child athletes are most at risk for Sever’s Disease, because the constant activity levels cause irritation to the Achilles tendon and growth plate. Also, kids with high, rigid or stiff arches more commonly develop this problem, likely because they often have tight Achilles tendons. While any sport can trigger Sever’s Disease, certain activities are more likely to cause a problem. Basketball players are some of the most common sufferers of kids’ heel pain, but track team members, football and baseball players are also frequently impacted. Another potential cause of Sever’s Disease is seasonality: we see lots of children who play sports year round (fall soccer feeds into winter basketball, followed by spring baseball. And so on.) These kids appear to be impacted because their growing bodies never get a break from the constant pounding of athletic training. Most parents, and some pediatricians, write this condition off as growing pains. They feel that it will go away in time. To a certain extent, this is true: if left alone, symptoms of Sever’s will eventually go away. The problem is there’s no clear picture of how long it can take for the pain to go away: it could be weeks, months or even years—without medical intervention, that is. On the other hand, even with quite conservative measures, Sever's Disease is extremely treatable. Once you come into your podiatrist’s office, your doctor can evaluate your child, identifying any biomechanical problem that may be causing the inflammation to occur. The inflammation can be managed with anti-inflammatory medications, both oral and topical. Icing the affected area can also help cool down the inflammation and manage your child’s symptoms, as long as you don’t keep the ice on for longer than 20 minutes. If pulling from the Achilles tendon is causing the inflammation, a heel lift may help resolve the issue. Orthotics may also provide relief from Sever’s disease, but your podiatrist will help determine the best course of treatment for your child. The important thing to remember when dealing with Sever’s (or any other foot problem) is this: growing pain is not just a normal part of childhood. If your son or daughter has consistent complains of heel, foot or ankle pain, it’s important to see a podiatrist as soon as possible. Quick treatment ensures that your child’s normal growth and development will remain uninterrupted—plus it will get them back into the business of fun and activity a whole lot quicker!